Bulgaria had fought on the side of the Central Powers in WW1 (Germany, Austro-Hungary, and the Ottoman Empire) so, following their defeat, Bulgaria too suffered from harsh treaty settlements. The Treaty of Neuilly-sur-Seine proved to be a severe blow to Bulgaria’s military. According to the treaty, the country had no right to organize a conscription-based military and some territory was ceded to her neighbors. The army itself was limited in size to just 20,000 men to include internal forces and border guards. Equipping the army with tanks, submarines, bombers and heavy artillery was strictly prohibited, although Bulgaria managed to get around some of these prohibitions but was still unprepared for the outbreak of World War II. Rearmament had only begun properly after the Solun agreement of the 31st of July 1938 although rearming had effectively begun as early as 1934 when Bulgaria had been looking to buy its first tanks. The first tanks chosen, in 1935, were from the Kingdom of Italy and Bulgaria bought 14 CV.3/33 light tanks in a secret deal with Ansaldo-Fiat. The deal cost 10,770,600 Leva and it was kept secret until the vehicles reached the port of Varna. The only difference to the standard Italian vehicle was the fitting of a single Schwarzlose machine gun in the front rather than the Italian style of mounting twin machine guns. These vehicles were assigned registration numbers B60001 to B60014 and stayed in service (mostly for training purposes) until they were scrapped in April 1945. In September 1936, Bulgaria ordered a batch of 8 Vickers Mark E variant B (single turret) tanks from Great Britain for 35,598,000 Leva. These vehicles were normally fitted with the standard 47mm gun but they were delivered without the weapons fitted as it was intended to domestically fit them with a Maxim machine gun. The delivery included supplies of 2000 armour piercing and 2000 high explosive shells. Delivery was in two batches of 4 with the first arriving January 1938 and the second in July 1938. Prior to delivery, Bulgarian officials had secretly attended trials of them in Britain in October 1936, keeping it secret as this would have been a violation of their treaty obligations. 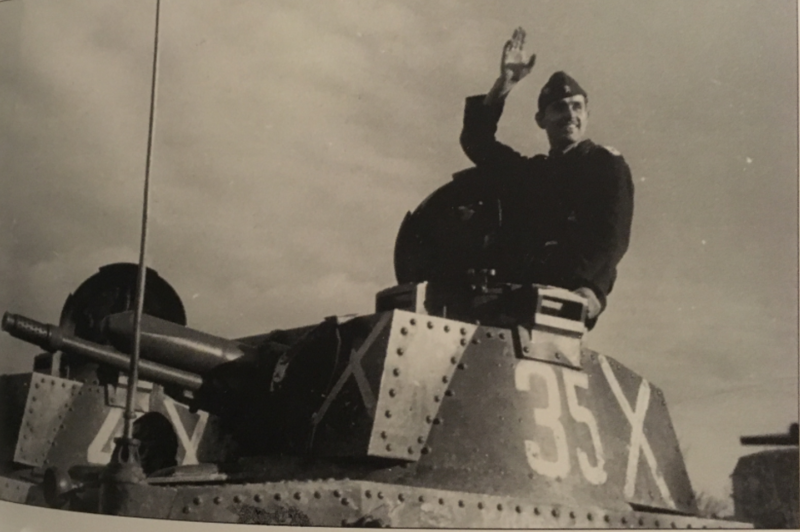 As with the delivery of the CV.3’s tanks from Italy, delivery of these Vickers tanks was also done discreetly The vehicles were eventually assigned registration numbers B60015 to B60022 and remained in service until April 1945 when they were scrapped. 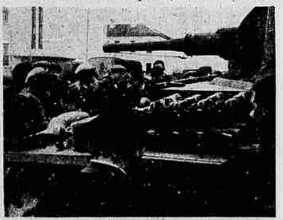 In February 1939, Bulgarian officers witnessed a demonstration of Czechoslovakian light tanks which impressed them. As a result, they considered purchasing 50 Š-I (Vzor 33) tanks and 40 LT-35 tanks. However, in March 1939, Czechoslovakia was occupied by the Germans. The Škoda and CKD-Praga vehicles which the Bulgarians were interested in would have to wait as Czech industry was in German hands delaying Bulgarian rearmament. It is also alleged that there were political reasons prior to the invasion of Czechoslovakia why they wouldn’t sell to Bulgaria but the invasion of Germany had settled the matter. This Berlin arms deal included 26 light tanks with the intention of deploying them to the Turkish border. The deal was agreed that June and resulted in an August 1939 deal with Ausfuhrgesellschaft Kriegsgerät GmbH of Berlin (AGK) for 26 captured ‘trophy’ Czechoslovak tanks costing 65,000 RM each for a total of 1,965,000 RM for this part of the arms deal. The deal also included 10,000 high explosive shells and 5000 armor-piercing shells for them. These tanks were supplied fitted with the standard 37.2mm A3 tank gun and were assigned registration numbers B60023 to B60049. 13 of these vehicles were renamed to “Lek Tank Škoda Š-35” (“Light tank Škoda Š-35L) and then transferred to (and thereby forming) the 3rd Armored Company (III Rota), under the command of Captain Alexander Bosilkov. The 1st Armoured Company (I Rota) at the time consisted of the 14 CV.3 and the 2nd Company (II Rota) of the Vickers Mark E’s. The three company’s formed Bulgaria’s only armored battalion. (Druzhina). 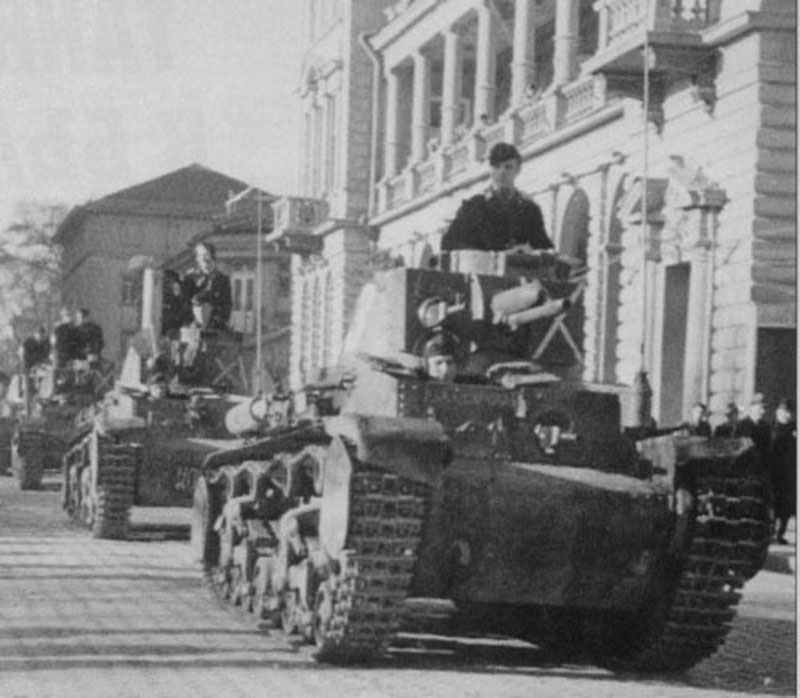 In March 1940, 40 more LT-35’s tanks were requested but the Germans instead offered a quantity of LT vz.38 tanks. 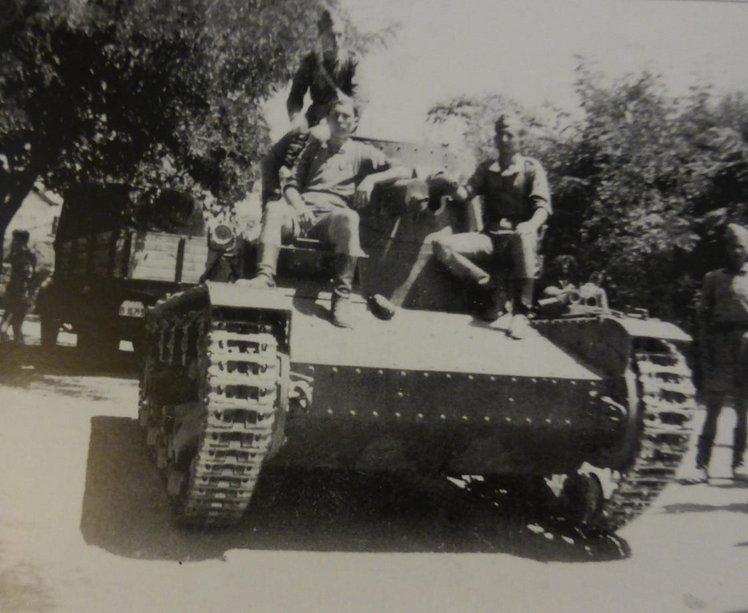 Those were rejected by the Bulgarians as being too light so the Germans instead offered 10 Škoda T-11 tanks (which had originally been ordered by Afghanistan before the war) at a discount price of 945,000 RM to the Bulgarians in mid-1940. They were fitted with the superior model A8 tank gun, inspected in the factory at Pilsen then shipped to Bulgaria between November 1940 and February 1941. Bulgarian records do not distinguish between the two types of tank supplied though. These vehicles were assigned registration numbers B60049 to B60058. Bulgaria had a non-aggression pact with Turkey and on the 7th of September 1940, the Treaty of Craiova returned the region of Southern Dobruja from Romania to Bulgaria. This territory had been lost in 1913 but in October 1940 World War 2 came closer to Bulgaria with the Italian invasion of their southern neighbor, Greece. This invasion soon became a debacle for Italy and it was clear that the central geopolitical position of Bulgaria in the Balkans would inevitably lead to strong external pressure by various factions and neutrality might not be possible. Very quickly Nazi Germany demanded that Bulgaria join the Tripartite pact and permit German forces to pass through Bulgaria in order to attack Greece and help Italy. While the Bulgarian government was reluctant to get involved in the war, the threat of a German invasion, as well as the promise of Greek territories, led Bulgaria to sign the Tripartite Pact on the 13th of March 1941 and join the Axis bloc. There was little popular opposition to this decision at the time as the largest threat to Bulgaria, the Soviet Union, was still in a non-aggression pact with Nazi Germany. 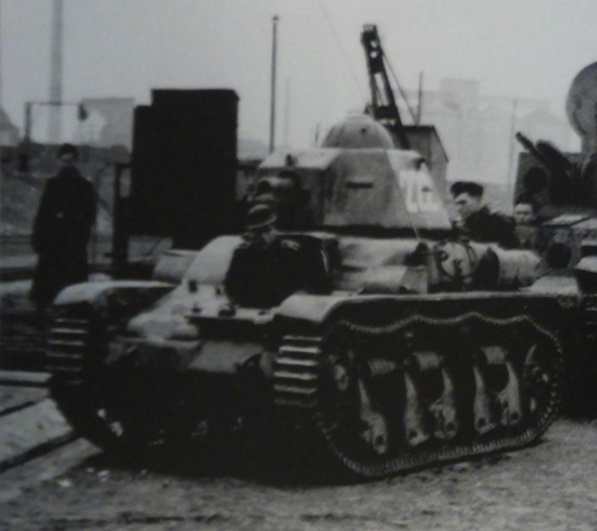 Perhaps in recognition of the fact that joining the Tripartite Pact Bulgaria needed more tanks, on the 19th of March Germany agreed to Bulgaria’s request for 40 Renault R35 tanks. These tanks were purchased for RM2,377,280 on the 23rd of April 1941. These vehicles were supplied with 10,000 high explosive and 10,000 armor piercing shells and were known in Bulgarian service as the ‘fighting vehicle Renault.’ When they arrived they were painted dark grey but were repainted in Bulgaria including with a large white recognition number on the turret sides. These vehicles were assigned registration numbers B60201 to B60240. On the 6th of April 1941, despite having officially joined the Axis Powers, the Bulgarian government did not participate in the invasion of Yugoslavia or the invasion of Greece and with the surrender of the Government of Yugoslavia on the 17th of April and Bulgarian troops entered the country two days later. The Government of Greece surrendered on the 30th of April and Bulgarian troops entered the country that day. Bulgaria in World War 2. Bulgaria did not join the German invasion of the Soviet Union that began on the 22nd June of 1941 nor did it declare war on the Soviet Union but Bulgarian armed forces garrisoned in the Balkans did fight against various anti-German resistance groups. The Bulgarian Government was forced by Germany to declare war on the United Kingdom and the United States on the 13th of December 1941, an act which resulted in the bombing of Sofia and other Bulgarian cities by Allied aircraft. 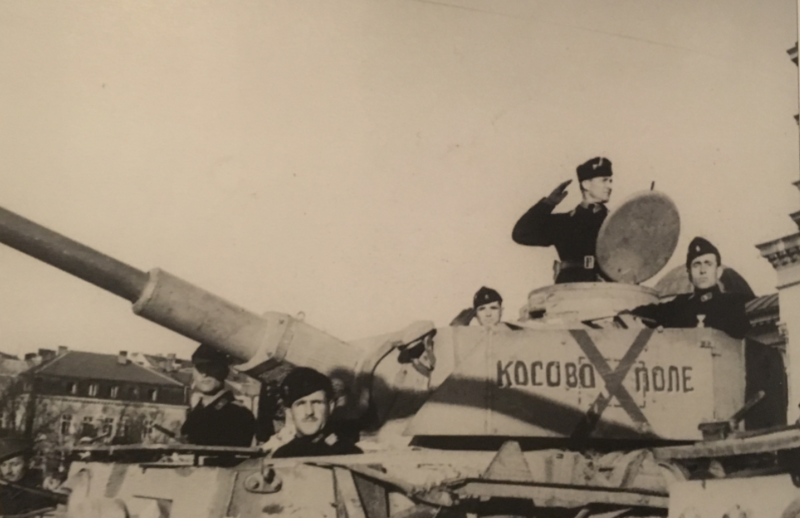 It was clear that with the War having now spread to the largest threat to Bulgaria, the Soviet Union, that a bunch of second-hand trophy and out of date vehicles were not going to protect Bulgaria adequately. As a result in January 1943, Bulgaria requested from Germany 54 StuG III, 84 light armored cars, 54 heavy armored cars, 140 light tanks, 72 medium tanks, and 186 armored troop carriers. The counter offer in February was for just 20 Stug III, 12 Pz.IV, and 20 light armored cars. 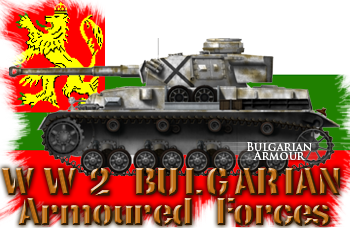 The Bulgarians were not satisfied and this supply issue was successfully renegotiated as part of ‘Plan 43’ to 43 Pz.IV, and 25 Stug III. The needs assessment completed by the Summer of 1943 showed this to still be inadequate with a need identified for 91 Pz.IV, 55 Stug III, 10 Pz.III, 25 Pz.I and 28 light armored cars. Deliveries of the Pz.IV’s had begun in batches starting in February to May 1943 with 16 vehicles. These were the Ausf G model with Schurzen and 30mm zusatzpanzerung (additional armor plating) either bolted or welded to the hull and superstructure front. The tanks were armed with a mixture of the 7.5cm KwK L/43 and L/48 guns. 15 Pz.IV Ausf H models were shipped in June 1943 followed by 15 more in August and September for a total of 56 tanks. It was in August 1943 that, after a visit to Germany, the Bulgarian King, Boris III died suddenly, and was rumored to have been poisoned. His six-year-old son Simeon II succeeded him to the throne and because of his age, a council of regents was set up to assist him. The new Bulgarian Prime Minister, Dobri Bozhilov, was a German puppet which meant that Bulgaria was now effectively a Nazi client state. By February 1944, Bulgaria had accepted 87 Pz.IV tanks into service with 4 more expected but only 88 were in service by the 1st of June 1944. In Bulgarian service the Panzer IV was known simply as ‘boyna kola Maybach T-IV’ (‘boyna kola’ means fighting car/vehicle, Maybach referred to the engine used in the vehicle, ‘T’ was for Germany and ‘IV’ was the Mark of the tank). The T-IV was fitted with Fug5 and Fug2 radios and some command vehicles were also fitted with the Fug17 radio. The R35’s already in service were retrofitted with Fug5 and Fug 2 radios too but none of them were fitted with the Fug17. Deliveries of the 55 StuG III self-propelled assault guns began in February 1943 in 5 batches of 15 (batch 1), 10 (batch 2 in May), 10 (batch 3, May to July), 10 (batch 4, August to September), and 10 (batch 5, late September to November) respectively. The vehicles were known in Bulgarian service as ‘stormovo orvdie Maybach T-III’ (‘assault weapon’ Maybach, German, Mark III) There was some variety in the model of vehicles supplied with a mix of hulls with the 50mm hull front plate with an additional 30mm plate, and 80mm uniform plate armored versions. The final batch of vehicles were fitted with the newer Saukopf gun mantlet. 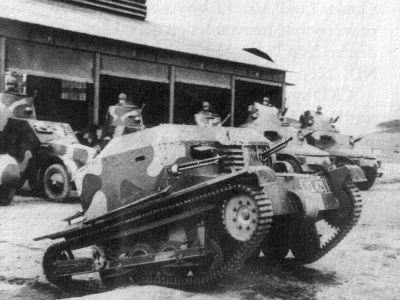 Twenty Sd.Kfz.222 and 223 light armored cars were delivered (known in Bulgarian service as M.222 and M.223) between May and June 1943 but the promised Pz.III tanks were not delivered. Instead, they were replaced with Pz.38(t) light tanks in Ausf A, B, E, F, and G versions at the start of 1943. 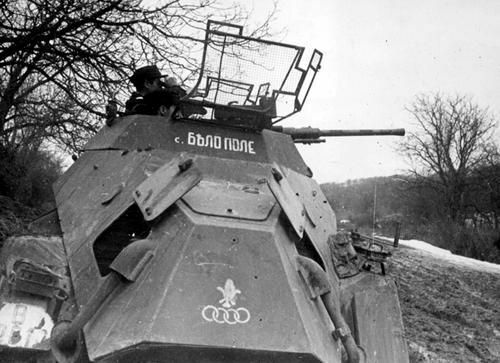 The Bulgarians did not complain as any tank was better than no tank and this vehicle was adopted into service as the ‘boyna kola Praga’ (‘fighting car/vehicle Praga’). Just like the broken promise to deliver Panzer III’s, the promised Pz.I light tanks, which were needed for training, did not get delivered either. This was due, in fairness, to the fact that it was no longer in production so couldn’t be supplied. Instead, the Germans offered 19 Hotchkiss and 6 SOMUA tanks fitted with the 3.7cm KwK 144(f) and 4.7cm KwK 175(f) respectively. The Bulgarians had not liked the Renault R35 as it was slow, cramped and poorly ventilated so did not want more out of date French tanks. Insisting on having Pz.I’s for crew training the Germans relented in November 1943 offering 4 Pz.I’s. By the summer of 1944, the Bulgarian Army had more than 21 infantry and 2 cavalry divisions, and 2 frontier brigades. 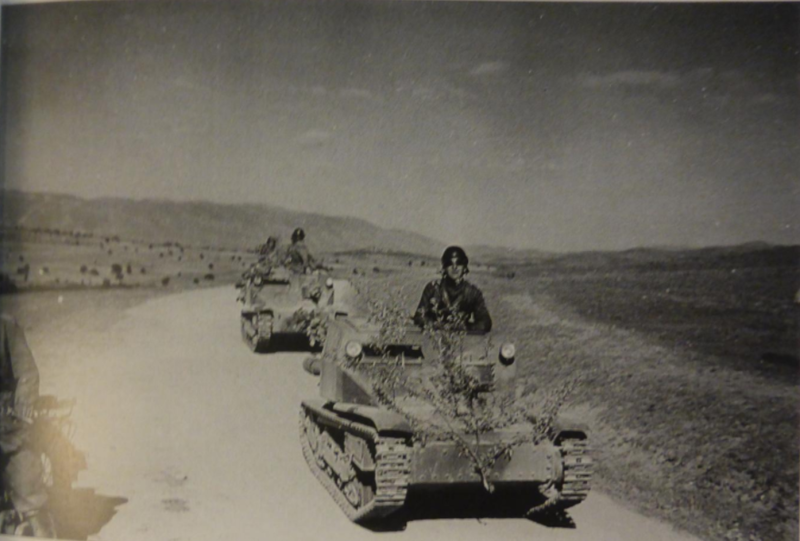 Seven divisions were under direct German operational control in Yugoslavia to protect German supply routes to Greece but despite these numbers more than half of the Bulgarian army was still severely lacking modern tanks, anti-tank guns, and equipment. A shortage of trucks was particularly problematic and reliance on horse-drawn equipment remained. In May 1944 Germany also supplied 6 surplus Pz.38(t) tank turrets to Bulgaria for use in its Aegean coastal defenses. By this 3rd quarter of 1944 it was apparent that the war was not going well for the Axis on any front and on the 4th of September the Bulgarian Government which had been forced into war in the first place and then had a puppet government take power turned on its ally Germany. A former denunciation of the Axis was issued and Bulgaria requested assistance instead from the Soviet Union. This message seems to have arrived too late though as on the 6th of September Soviet forces unleashed attacks on Bulgarian forces. On the 9th of September 1944 (almost a year to the day from the capitulation of Italy) there was coup in Bulgaria and the new Government became formally aligned to Moscow. For those chaotic few days at the start of September Bulgaria had managed to be at war with both the Axis and the Allies at the same time. 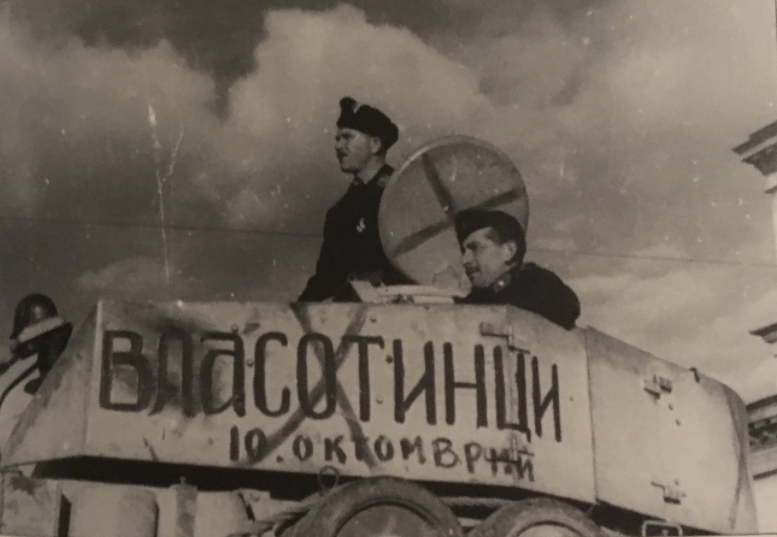 Under Soviet control in October 1944, the Bulgarian Army was organized into the 1st, 2nd and 4th Armies and a strategic reserve of 10 infantry divisions, 1 guards division, 2 cavalry divisions, 1 armored brigade, and 1 independent brigade. The Soviets quickly made use of these new forces at their disposal with the 1st, 2nd and 4th Bulgarian Armies being deployed to prevent the retreat of German forces from Greece. This was very hard for the Bulgarian troops who had been fighting alongside their German counterparts for the past four years and the Bulgarian forces morale was low as well as still being chronically ill-equipped. This led to significant losses for the Bulgarian forces. They continued to fight German troops through Greece. By the 13th of May 1945, they had fought their way to the Austrian border where they linked up with British troops. An inventory of the 1st Bulgarian Army in July 1945 gives a good idea of the variety of vehicles in use in those last weeks of World War II. On hand were 6 Pz.V Panther, Pz.III, Stu.H, Pz.IV/70, Pz.IV, Stug IV, 15cm Panzerfeld Haubitze ‘Hummel’, Stug III, JgPz.IV and 15 other vehicles including 2 Italian SPA tank destroyers, 2 Hungarian Nimrod 40M, 1 Turan, and 4 JgPz 38(t) tank destroyers. The final reorganization of the Bulgarian forces by the end of 1945 showed it to have a total of 14 Pz.V Panthers, 102 Pz.IV, 3 Pz.III, 56 Stug III, 11 Stug IV and JgPz.IV and Pz.IV/70, 5 JgPz 38(t), 3 Hummel, 2 Nimrod 40M, 7 Pz.38(t), 23 LT35 and T-11, 1 Turan, 19 Renault R35, 1 SPA, 8 M.222 and 8 M.223. Missing from this list are the two Soviet T-34/85 tanks provided in 1945. Many of these old tanks would survive in one form or another past 1945 in Bulgarian service. Bulgaria in the Cold War was a Soviet satellite, old Nazi tanks would be an unwelcome reminder of a difficult time in the nation’s history. Pz.IV Ausf.G in Sofia on the 2nd of December 1944. The inscription on the driver’s visor reads ‘Belo Pole’. The black cross can be seen on both front mudguards. This view of an unexploded German anti-tank mine was ‘stuck’ to the armored schurzen of a Bulgarian StuG 40 Ausf F during vicious fighting in Yugoslavia provides an excellent view of the Bulgarian recognition cross and white highlighting. A smaller white cross was used from 1941 in Armoured Regiments for air identification and a larger black diagonal cross was supposed to be shown within a white square for assault gun detachments although in practice it was usually just highlighted in white around the edges of the cross. This diagonal cross can be found liberally applied to the fronts, sides, and rear of tank and turrets and on the roof of a variety of tanks. Some crosses were very carefully painted on and highlighted and others rather hastily applied either individually or in conjunction with various slogans.Not all vehicles have used this diagonal cross however and some can be seen with large red communist stars outlined in white instead as recognizable symbols. Pz.IV Ausf H in Sofia on the 2nd of December 1944. The inscription rear ‘Kosovo polje’ can be read over the black diagonal cross. Pz.IV Ausf H in Sofia on the 2nd of December 1944. The inscription ‘Vlastotinci 10 October’ can be read over the crudely applied diagonal cross. A further cross can be seen on the open roof hatch. 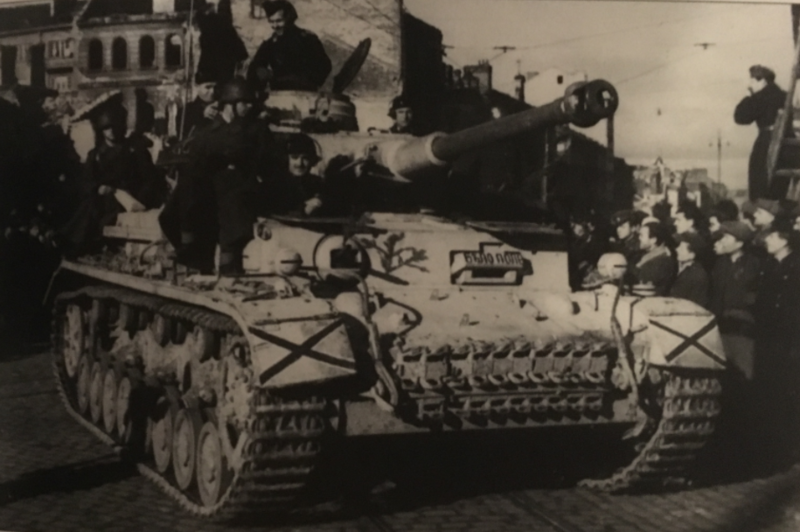 Skoda tank 1089 seen in Sofia on the 2nd of December 1944 displaying the diagonal cross on the turret faces although this time in white. Pz.IV Ausf H or J in Pecs, Hungary, March 1945 displaying large recognition stars on the lower front hull and turret sides. Armoured cars showing the linked four rings symbol with a fleur-de-lis symbol above denoting this vehicle as belonging to the reconnaissance battalion of an armored regiment. The four rings were the unit marker for vehicles within an armored brigade rather than a vehicle manufacturers mark. 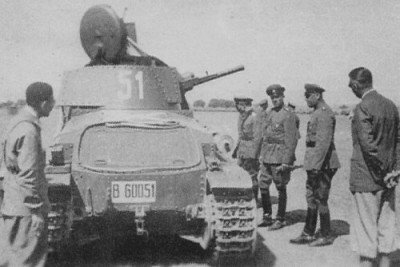 Bulgarian T-11 of the 1st Tank Regiment, in 1942. Notice the A7 gun, the same model as the one carried by the LT vz.38. Great work! Lovely to read! Keep up the good the good work! Nice, but about that “Bulgarian Maybach T4G (Ausf.F2/G), 13th unit, Russian border, winter 1942. Early production transitional model” there weren’t any BG forces on the Russian front in the whole war. Bulgaria never sent any forces to the Soviet Front,just occupied parts of Yugoslavia and Greece.